Katie and Garrett. KATIE AND GARRETT. We're boldfacing because the people in the back need to see this. This couple, y'all. These are two people who we can honestly say belong together. Have you ever seen a guy look at a gal so adoringly? Katie and Garrett are in love, in case it wasn't obvious enough. For their engagement session, though they truly need no backdrop, we chose to wander around the North Knoxville area, starting and stopping at our favorite little coffee house, K Brew. 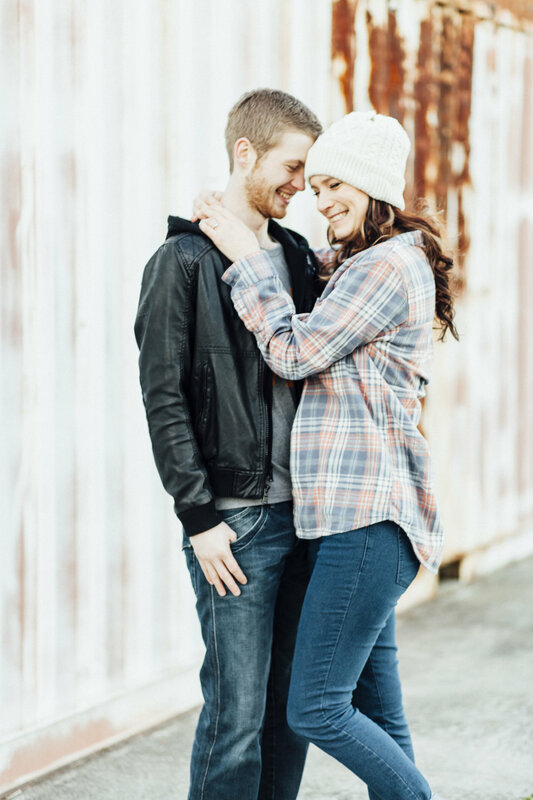 This super cute lovey dovey couple is getting married in June at Benchmark Farms and if their downtown Knoxville engagement session was any indication, their wedding will be a blast.